Batteryworld sell and recycle ALL batteries: laptops, mobiles, tools, cordless phones, cars, boats, bikes, etc. BioBag is a world-leading company in the development, production, and marketing of certified compostable and biodegradable products. Their main goals combine concentrating on the quality of existing products and the innovation of new products and concepts. Waste and recycling collection management and education. Cleanaway partners with tens of thousands of Australian businesses and communities to create and deliver tailored waste and recycling solutions. Cleanaway are leading the way with innovative solutions to achieve sustainability goals for their customers. 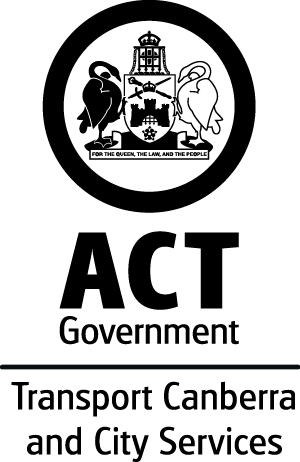 Community Services Directorate: The ACT Government’s Aboriginal and Torres Strait Islander Portal will provide a central access point for Aboriginal and Torres Strait Islander community members to link to information on whole of government services, initiatives and events. Experts in recycling organic carbon to add fertility to some of the World's most barren soils, C-Wise Smart Composting Systems generate substantial economic, environmental & social benefits. Dialight manufacture high quality LED lighting solutions with automation controls that allow daylight harvesting and sensor controls of the light solution. Energy Action is Australia's leading energy management firm. They empower businesses, government entities and not-for-profits of all sizes to understand and take control of their energy needs. FASHFEST is a three-day, red-carpet fashion event; the largest on Canberra’s social calendar coming this September. More than 40 designers, from Canberra, across Australia and overseas, will showcase their work. The lineup includes designers with a strong focus on sustainable design and production. 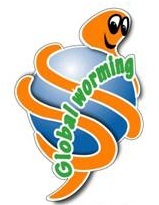 All organic food waste collected by Global worming is vermicomposted (fed to worms) - an aerobic process which produces one of the best known organic fertilisers. We convert food waste into livestock feed and soil conditioner using insects. We're able to convert a wide range of food waste, from office lunch waste to industrial processing waste. Icon Water own and operate the ACT’s network of dams, water Icon Water is Canberra’s only water and wastewater provider. Icon Water own and operate the ACT’s network of dams, water treatment plants, sewage treatment plants, reservoirs, water and sewage pumping stations, mains and other associated infrastructure. JJ Richards & Sons is a privately owned waste management company. They provide a variety of waste management services such as garbage, recycling, sanitary and green waste collection. Magnetite- Double glazing existing windows for soundproofing & thermal insulation. eWaste and Battery recycling and product stewardship. Ozharvest the nation’s leading food rescue operation that has been feeding the nation’s hungry since 2004. They have delivered over 66 million meals and has rescued over 22,000 tonnes of food going to landfill. OzHarvest has been operating in Canberra since 2008 and assists many of Canberra’s charities and refuges. Podcycle collect used coffee pods for a fee from workplaces to ensure they get recycled and do not end up in landfill. Pure Pod - creates innovative clothing for women using ethical and eco credentials to produce our clothing, from the farm through to the finished item as much as possible. Waste collection services, manage Mugga Lane and Mitchell Resource Recovery Centre. For more than 20 years Replas has produced a range of over 200 products and has grown to become Australia's leading plastic product manufacturers. Every month Smartleasing helps 750 people get into the car they love for less. And every month Smartleasing plant close to 20,000 trees on behalf of their customers through our carbon offset initiative with Greenfleet. So while helping reduce the impact of a new car on your pocket, you’re reducing its impact on the planet. Solarhub is a Canberra-based company, servicing homes + businesses in their solar power, solar battery and solar hot water needs. Source Separation Systems- passionate about waste and recycling! They know how easy it can be with the right systems, to inspire people to manage their waste more effectively. SUEZ Recycling & Recovery (SUEZ) is committed to supporting the circular economy by helping our customers re-direct waste towards recovery, rather than waste to landfill. Including: general waste, paper/cardboard, secure, grease trap, batteries, polystyrene, commingle, organics, metal, wood, e-waste, medical and sharps. TEDxCanberra is independently organised by volunteers, licensed by TED, to bring TED like events to our community. Yangoora Close encourages people to rethink how much plastic they use and promotes a more plastic free daily routine by providing reusable, ecofriendly alternatives for everyday living. Commercial and residential waste management. The Renewables Innovation Hub is a flexible, collaborative co-working and office space bringing together innovative start-ups and pioneering organisations from Australia and from around the world to develop the ACT’s vibrant renewable energy and cleantech sectors.